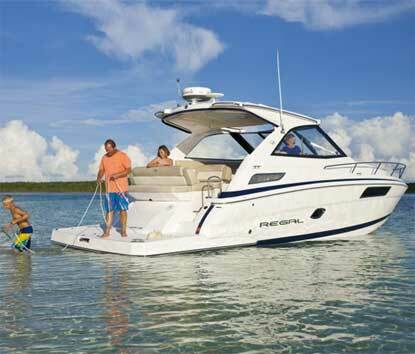 Chicago Marine Canvas sells tailor made Regal water craft tops as well as boat canvas that work with Regal’s complete line of makes and models. 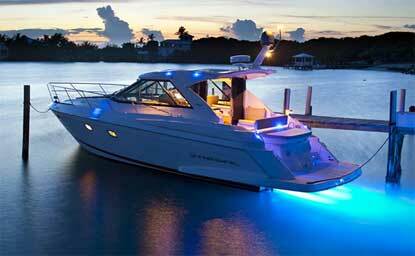 Regal’s boats are amongst the finest in the world so you should possess a stunning marine cover to conserve it! Similarly to Regal, we utilize Sunbrella Marine Canvas but in addition employ also tougher marine material such as Stamoid which is entirely waterproof and a great material for boat enclosures. The lifespan of a factory canvas is usually more or less 8-10 years, after which it will begin to show its years, however a great number of proprietors desire to make changes to their enclosure design before their current enclosure deteriorates. Maybe the purchase of your boat included an aft enclosure however today you fancy a full canvas? Or perhaps it has a full cover but you fancy a mooring canvas to be able to promptly remove it and put it back in place? A great number of factory canvas are designed with a mix of canvas and eisenglass but in case you desire additional visibility, a complete eisenglass enclosure may be what you are searching for. There are endless choices when considering custom top for your yacht. When you first get in touch with Chicago Marine Canvas, we will inquire about your enclosure requirements and uncover the correct vessel cover for you. Following our discussion concerning your boat and enclosure requirements, we will meet with you at your yacht to examine the project particulars and also check the digital measurements of your water craft, which is the initial phase in creating a 3D illustration of the project. We will conceive your top in a CAD (Computer-Aided Design) computer application , this program makes it very easy to make changes for windows, notches, zippers and fasteners. Our CAD program also considers textile relaxation and many such components that might take a very long time to compute by hand. The final result is always a perfectly fitting water craft canvas. Our promise is to provide these solutions on time and within budget.